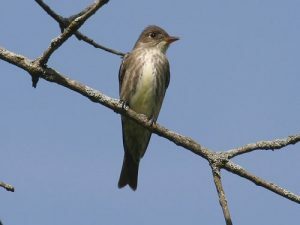 Olive-sided flycatcher is a medium to large-sized passerine bird belonging to the tyrant flycatcher family. 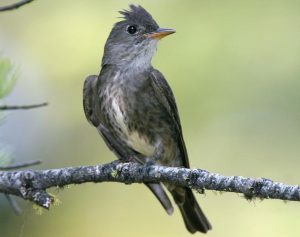 It is sturdily-built and is one of the most noticeable birds of the coniferous forests of North America. 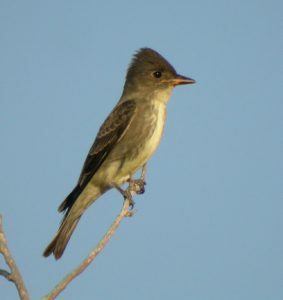 These birds hunt by waiting from a high exposed perch often at the top of the tree. They fly out to catch the flying insects and return to the same perch. 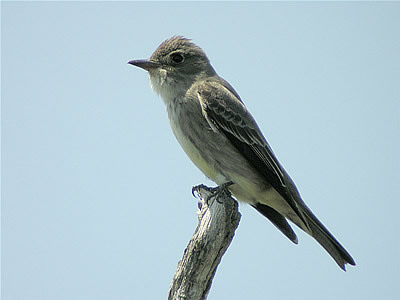 The flycatchers usually catch insects in mid-air and consume them whereas larger preys are carried back to the perch. 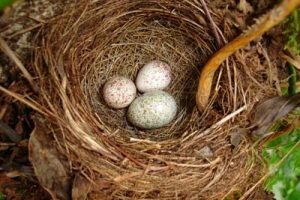 Nests in the shape of a flat open cup, made up of twigs, lichens, rootlets, grass, weeds are built by the female on horizontal branches away from the trunk. These monogamous birds display courtship behavior involving brisk chasing through the branches. 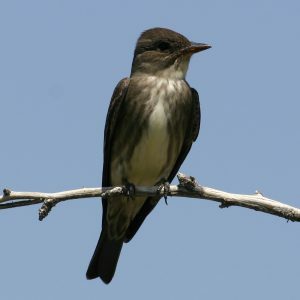 They have a large breeding territory that can extend to 40-45 hectares around the nest, with the male aggressively defending the territory. Female incubates her eggs while the male gathers food for her. After hatching, both male and the female feed the young. The young ones are ready for their first flight at about 21-23 days. After leaving the nest, the young ones continue to depend on the parents for about a week. 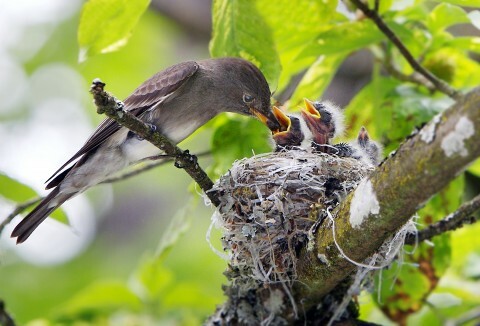 The family stays together till the migration in fall. 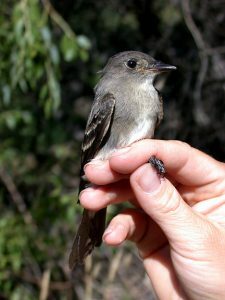 They undertake one of the longest migrations among the North American flycatchers. Published on October 7th 2016 by Sajal Datta under Coniferous Forest Animals. Article was last reviewed on 27th October 2016.